An important component of your car is the tire. If you have a blowout or if there are issues with your tires, then you usually won't be able to drive safely on the road until the issue is fixed. 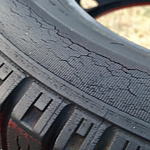 Fortunately, there are a few signs that indicate that your tires need to be replaced. Low air pressure isn't normal unless there is a change in the temperatures. This could mean that there is something in your tire resulting in the pressure to drop. Another sign is uneven wear and tear. There are a few different reasons as to why this might occur, such as misalignment. If you notice that there is one side of a tire or that there are multiple tires that have more wear than others, then you should get your vehicle examined and the tires replaced. While you're in Amherst, visit Virginia Select Auto so that our team can inspect your tires to ensure that you are driving safely.